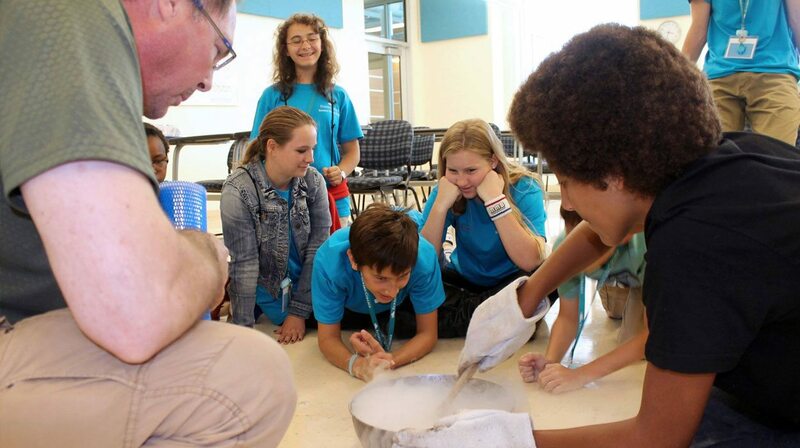 Summer Science Splash is a week-long residential summer camp funded by the II-VI Foundation and hosted by Eckerd College. 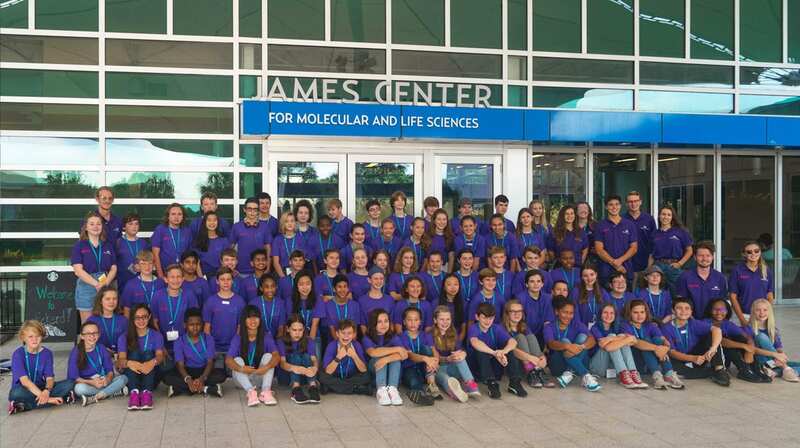 Spend your days in the college’s new $25 million, state-of-the-art James Center for Molecular and Life Sciences performing a variety of science experiments with the latest hi-tech equipment used by both college students and research scientists. 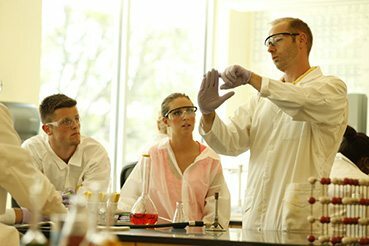 Work closely with Eckerd College science faculty, certified science teachers, and Eckerd College students majoring in the sciences. Spend your evenings participating in games, watching movies, contributing to team activities and more. Between daily experiments and evening events, work with your team to gain points for prizes. You do not need to have an advanced understanding of science to attend, but you are expected to be excited and motivated to learn! Session II: July 14 – 19, 2019 Session II is now full. Students may apply for only one session. To be placed on a waiting list, please call 727.864.7783. Cost includes: participation in all science labs and activities, use of college recreational facilities, meals, lodging, snacks and camp T-shirt. Limited number of partial scholarship available. 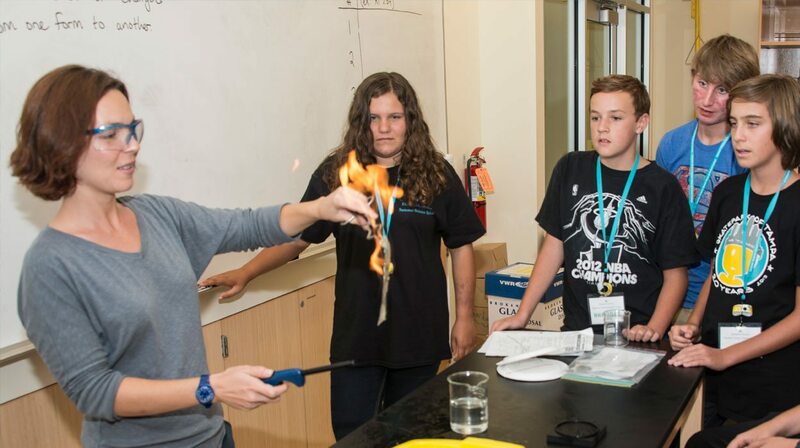 Please Note: To take full advantage of the opportunities of the Summer Science Splash Camp, students are expected to remain on campus for the full session. 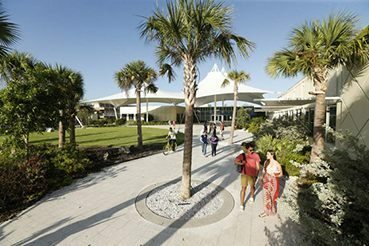 Eckerd College does not allow family or friends to make visits to campus or take students off campus during the program. Modern life depends on the motion of electrons, from computer circuits to chemical reactions in fuel cells. Summer Science Splash students will build batteries and solar cells, wire circuits for alarms, run generators, take data from transducers, and explore oxidation and reduction reactions. They will learn about current, magnetism and electrochemistry. Participants will live on the Eckerd College campus in St. Petersburg on Florida’s Gulf Coast. 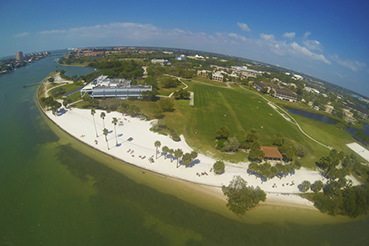 Our 188-acre waterfront campus provides a magnificent atmosphere and safe environment. 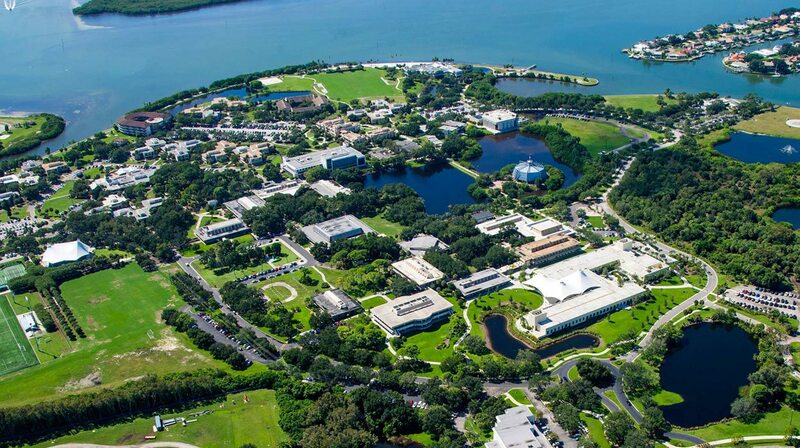 Eckerd College is located in St. Petersburg, just off I-275 exit 17. 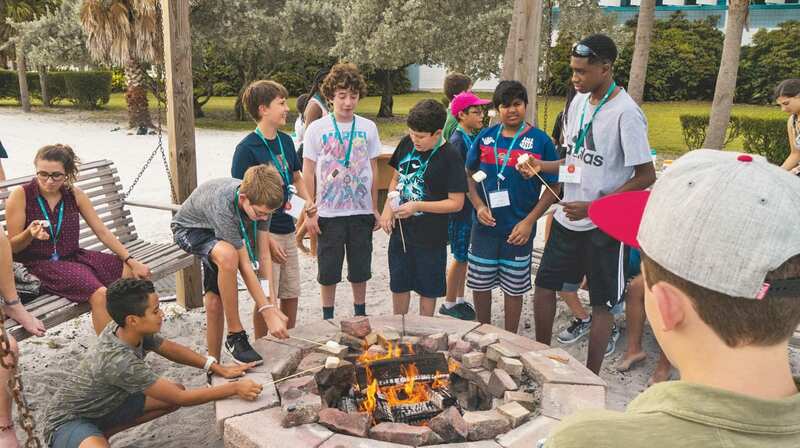 At the conclusion of daily labs, campers are supervised in the late afternoon, evenings and overnight by well-trained Eckerd College students who are eager to share their enthusiasm for science and teamwork. 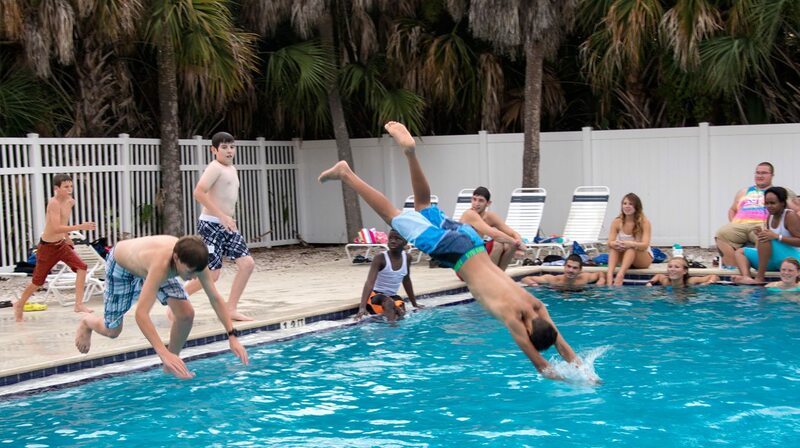 Students will live in air-conditioned Eckerd College student residence halls reserved exclusively for Summer Science Splash participants. Counselors will be present in each residence hall. Campers will eat in the main cafeteria located just steps from the residence halls. Nutritious, youth-friendly food is served on a daily basis in the summer. We can accommodate allergies, gluten free, vegetarian and a variety of other special diets. Your registration will not be complete until we are in receipt of the mandatory items. The processing fee of $25 is non-refundable for those who withdraw from the program. If students are not accepted into the program, they will receive a full refund. If a participant fails to show up for the program. If a participant is dismissed from the program by the College. Participants who cancel their registration and are eligible for a refund should contact summerconferences@eckerd.edu or 727.864-7783.